Here we could collect in one place all issues related to the recent linux kernel 5.0. I noticed that with kernel 5.0 I cannot configure my home router with any web browser, somehow kernel 5.0 prevents logging in to the router. Fortunately with the LTS kernel 4.19.26 this problem doesn’t exist. I don’t know the reason for that issue. It has never happened before with any other kernel. Fortunately it is the only issue so far with kernel 5.0 for me, otherwise 5.0 works OK.
And fortunately we have the LTS kernel to use. That’s why it is a good idea to install both linux-lts and linux packages. 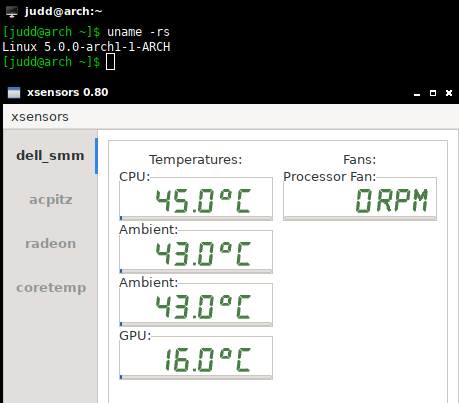 I tested this kernel 5.0 issue with my Arch linux installation. In Arch there was exactly the same problem: kernel 5.0 didn’t allow me to log into the router, but the LTS kernel did. I used the same browser in both cases, so the only difference was the kernel. I suppose Linus will fix that soon. After all, 5.0 is a new release, with new bugs. and it isnt softblocked ? how do that call … rfkil whatever ? Me it’s the update of the LTS kernel to 4.19.27 this morning that created a problem, the system is unable to boot. Therefore i had to boot on kernel 5.0, so far it works fine. Like you say, it’s a good thing to have 2 kernel installed, loll! Here I can boot with both 5.0 and 4.19.27. The only issue still is the router login while on 5.0. I’m accessing the router with a wired link… No wireless devices on this machine. My boot issue seems to be resolved this morning, i’m on the LTS 4.19.27 and it works fine!